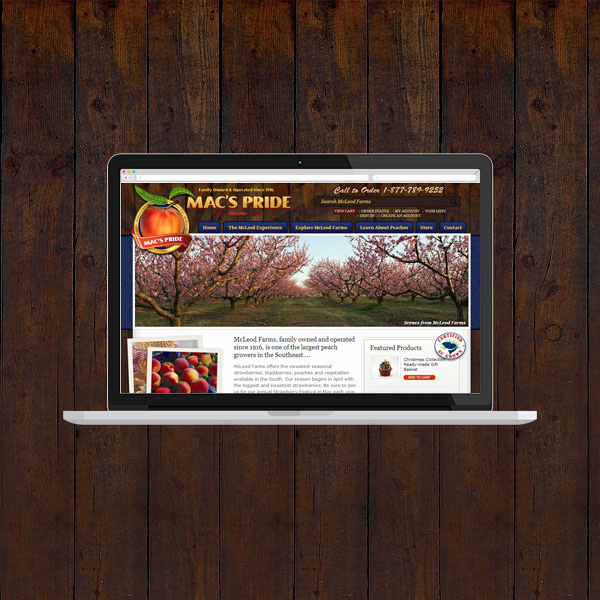 McLeod Farms (www.macspride.com) needed a smart & secure eCommerce and business-information Web site to replace their out-dated systems. In addition to providing a custom programmed solution for their complex, fresh produce shipping needs, Catoe Group helped McLeod Farms by combining several sites into one easy-to-manage Web presence. This helps McLeod Farms’ staff more easily serve their high volume of online orders and deliver an even better customer service experience, which is a hallmark of their company. Catoe Group is especially proud to serve McLeod Farms, a nearly 100 year-old farm and one of the largest peach producers in the country.